Reverend Robert West, Boston and Skegness candidate for the British National Party. 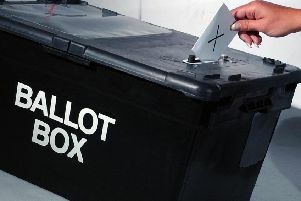 A Boston and Skegness election candidate is set to face a professional conduct hearing over his teaching next week. Robert West, who is standing for the BNP, is going before the National College for Teaching and Leadership (NCTL) panel in Coventry, from 9.30am, on Monday, until Friday. According to the notice on the NCTL website, the allegations regard his former employment in Lincolnshire. When contacted by The Standard, Mr West said the allegations revolved around his teaching at a high school in Grantham on the topic of the Crusades. He said the case included an allegation of racism. He said he was going to defend himself against the allegations.